2018 Butterfly gloWalk, 5K AMAZING Sponsors & Opportunities! Just weeks from the BIG event and Sponsors may still join the team to help make our event a HUGE Success! Become a butterfly sponsor and showcase your company at this night-time FUN-Raiser on April 14th along Tampa’s Historic Riverwalk! Sponsors accepted through March 23rd for guaranteed inclusion on event shirts. Don’t delay… this downtown Tampa event is sure to sell out! Lucky for My Hope Chest, Miss Ruth is continuing her mission for a 2nd year – YAY, touring the country promoting My Hope Chest’s mission during the hit TV show’s conventions. Ruth, more an Angel than a witch, created the fundraising “VClub” Pin for her superfans to help raise funds for breast cancer survivors seeking reconstructive surgery on My Hope Chest’s wait list. For just a $10 donation, Ruth will donate 100% of proceeds to her favorite charity- MHC! 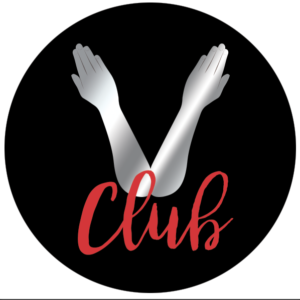 *VClub Pins are distributed at Conferences to those who have donated. 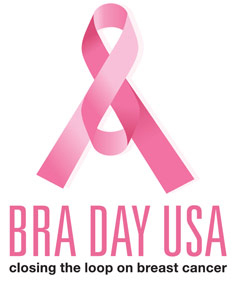 Fundraise for The Boobies ~ MHC Hope Floats 4th Anniversary Event! take ACTION to Transform Lives! Year 4 of our 3rd Party event campaign and we are already seeing SUCCe$$! Sign Up your “Butterfly Team” and create a“Hope Floats” event for My Hope Chest, raising funds for breast reconstruction for survivors in need. Together we will restore, transform and complete the cancer journey for thousands of breast survivors seeking closure. Create a “Hope Floats” team building fundraiser at your office, civic group or with friends… Your event can be ANYTHING you desire: A office “denim day, a bake sale, Raffle, wine and cheese party or even a golf tournament, That’s the FUN, you CHOOSE! Contact us today and get your 3rd Party Event Agreement Form and get started changing lives This FALL! “ACTION” month with HOPE for healing and new beginnings!! Gishwhes Scavenger Hunt Clue… Creating Butterflies for My Hope Chest! My Hope Chest is joining the fun by hosting the next clue on this global adventure! Here at My Hope Chest we “Create butterflies and Transform lives” of breast cancer survivors. Extra Points for working MyHopeChest.org and butterflies into your design! Please take a moment to LIKE My Hope Chest here! GREAT BUTTERFLIES BATMAN~ YOUR POSTERS JUST IN!!! Thank you THANK YOU, ThaNk YoUUUU!! 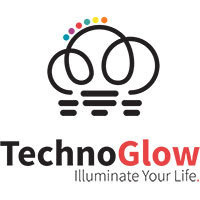 GloWalk,5K ~ Day of Details – Ready, Set… GLOW! We are Going and GLowing Tonight! Arrive at Gator’s Cafe anytime from 5 to 7pm to enjoy pre-event time with your teammates and our wonderful event Emcee, Allison Kropff of 10News. Great food at the restaurant so walkers can come hungry and runners- eat after ! Come buy more BLING at our one-of-a-kind “GLoW StaTion”, Participate in Auction and Raffle, 50/50 to support our charity event until 7pm when we will head for the beach. 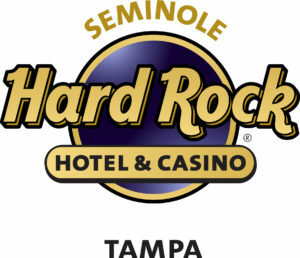 Our friends from Beasley Media Group WQYK, 94.1 and Q105 will be on site with giveaways and fun. Race Begins “on the beach” at Dusk/Sunset- 8pm! Walkers to follow at 8:30. My Hope Chest is very grateful to every one of you for your help, support and sometimes patience as we worked so hard to bring you the best experience and help raise money transform our survivors into new Butterflies… we can’t wait to meet you!! Gator’s Cafe and a Poker Run of Tequila? Yes, that’s the word on Thursday May 5th. The Fun begins at Gator’s with 3 different bands, Drink Specials and all at the beautiful waterfront restaurant we know and love! The best-est part…. A portion of proceeds will help our survivors. My Hope Chest is a part of the fun on this annual day of celebration and nachos. Gator’s will support our mission and the community and donate 25% of tequila drinks sales during the event. What’s not to love! Ahhhribba! Please Drink responsibility and enjoy the day! With an amazing line up at St. Petersburg’s Vinoy Park, My Hope Chest and friends will be out with smiles to celebrate this great day of music and merriment at the 3rd annual event. Portion of proceeds will benefit My Hope Chest and our breast reconstruction program. A huge thanks to our partners at Live Nation to make this event mean more in our community! This year’s great line up includes Hey Sunshine Fans! We’re ready for another amazing year with so many great artists: Tedeschi Trucks Band, The Indigo Girls, Troy “Trombone Shorty” Andrews & Orleans Avenue, Hard Working Americans & more! Thanks to our 3rd Annual October “Hope Floats” Event Supporters! 3rd Annual Hope Floats for My Hope Chest A SUCCE$$!! Community Partners Hosting 3rd Party Events, Raises Money in Our Sleep! 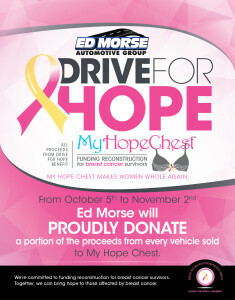 While the total donations raised is still out as October events wrap up, My Hope Chest is SOOOO excited to see the return of support from our wonderful partners at Ed Morse in the “Drive for Hope” campaign as well as Beasley Media and radios sharing MHC’s news all month long. 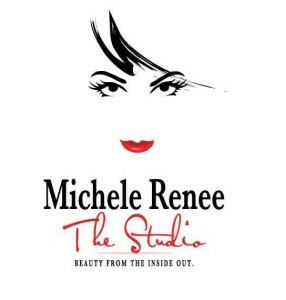 In addition, MHC’s Action month for breast cancer included the 3rd annual Gainesville motorcycle run to support “our girls!” and Michelle Renee’s Facebook Challenge! New events included Brighton Collectibles, Power of Pink” campaign at Citrus Park and Wiregrass Stores, Ortho Technologies, Lunch and Learn and another great motorcycle run in Chicago, Ill. Iconic Pop Comic, Carrot Top TOPPING the charts with an Awesome Autographed guitar signed by rockers, celebs and artists Auctioning online now at CharityBuzz.com! The charity saw tremendous press this month too, thanks to our PR Firm Angels, Three Girls Media, launching the Breast Reconstruction Awareness Ribbon nationally received over market wire… it just kept getting better! And…..There is even More GOOD news coming too so Stay Tuned! 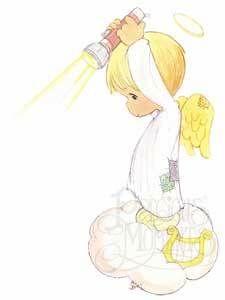 SPECIAL THANKS TO THE ANGELS BEHIND THE SCENES! Surgeons- Dr. Antonio Gayoso, Dr. Frank Stieg and others nationwide! My Hope Chest Board of Directors!!!! LIVE AUCTION! Carrot Top Donates Autographed Guitar to benefit My Hope Chest on CharityBuzz! Celebrity Autographs benefit My Hope Chest and Breast Reconstruction! In honor of our Butterflies in Waiting! My Hope Chest is totally excited about this AMAZING partnership and THANKS to Carrot Top, (Scott Thompson) for selecting us this month for his terrific support of our mission. This special Guitar is being donated by the iconic prop comic to help raise awarness and funds for organizations every October. This year the Following “A Listers” have signed the instrument to help Carrot Top help others. Don’t Wait, Bid and WIN this ONE OF A KIND memorabilia to hang on your wall! Just in time for the holidays too- Auction will last 20 Days ONLY! Go to CharityBuzz.com and Place your Bid to win this guitar signed by top musicians, artists, and actors. The guitar was originally housed in the comedian’s dressing room at Luxor Hotel and Casino in Las Vegas in 2014, where it was signed by Carrot Top’s celebrity and rock star friends, including: Shania Twain, Coolio, Steve Aoki, Dee Snider, Dave Schools, JoJo, JB & Sunny, Flavor Flav, Fred Schneider, Jerry DePizzo, Michael Paris, Michael Godard, Paul Shortino, Tim Rushlow, John Paul Tremblay, Robb Wells, and Mike Smith. Super Excited, thanks to all the musicians who gave of their famous signature to help My Hope Chest this year! 3rd Party Hope Floats Events Growing for My Hope Chest in 2015! A wonderful October is off and running with MANY events and “Butterfly Teams” forged this year for our “Hope Floats” event for My Hope Chest,raising funds for breast reconstruction for survivors in need. Together we will restore, transform and complete the cancer journey for thousands of breast survivors seeking closure. We are ever GRATEFUL to these individuals and businesses for their new or continued support this year!